The stock reg is a boost/vac-referenced one. It raises fuel pressure 1psi per pound of boost, IIRC. 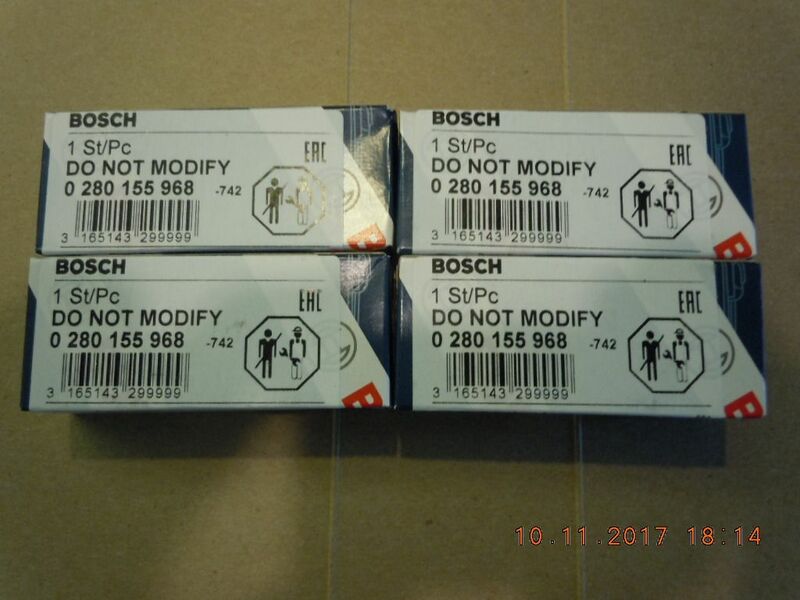 While I cannot find a BOSCH spec. online, the evidence/experience I can glean is the FPR used on LH2.2, LH2.4, pretty much everything since K-Jet passed away, are identical. They are designed to maintain 3.0 bar ABOVE the referenced intake pressure, obviously to the limit of the chassis fuel pump to supply. FCP says that said FPR is good for "25psi to 60 psi". can you flip it 180 degrees? 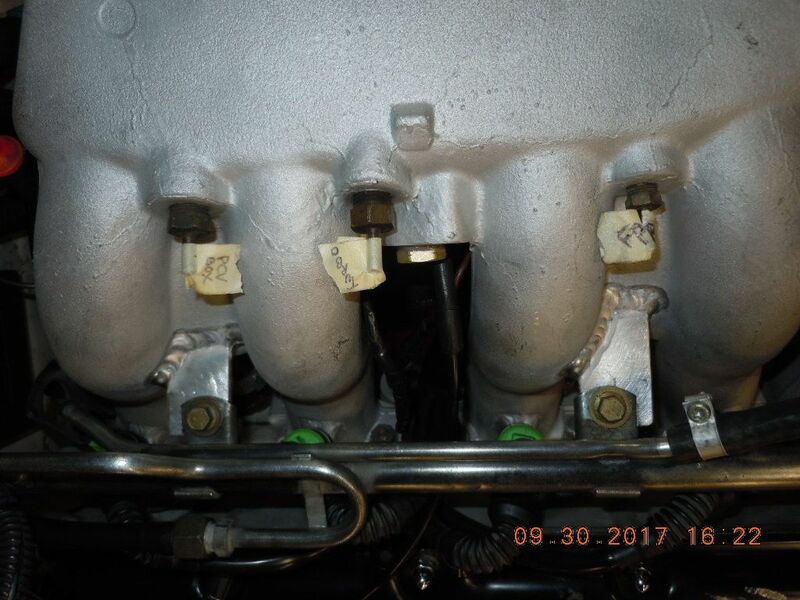 That actually exacerbates the situation.... the B21F intake "runs uphill" toward the firewall, and the brace is sitting on the plenum while just in contact with the Kaplhenke mounting bolts. When the intake is 100% complete, I'll have a last look at relieving some steel from the brace, but I doubt it will clear the plenum. Not a serious setback.... for my DD duty, the brace probably brings little to the table. Last edited by DET17; 09-09-2017 at 09:02 PM..
3 inch DP test fit, finally! For the first time since I've owned this car, it FINALLY has a 3 inch DP! The DP I have was reportedly a JAO/TLAO unit, although I cannot confirm as I bought it used. Now that it's test fitted, I know whoever built it knew well the available room in the 7/9 engine bay. Soon I'll complete the 19t rebuild (CHRA is balanced and waiting), and plug these bits together. I plan to wrap the 3" DP to reduce the heat in the engine bay. I'll have to replace the 5 year old oil drain hose as I hard to cut it to get it off the old turbo. I've got some fuel pump updates to make as well.... replaced the in tank "pre pump". Tip: When you copy the link from Photobucket, you don't have to click on the image icon in tb. Just paste that URL it gives you. Then you won't have these annoying IMG tags. Even though this is a build for a paw paw car ;)....there are tons of useful info here for my soon +T with a T3. Great write up! Last edited by thismachine13; 09-13-2017 at 08:13 PM.. Since I am actually a Paw Paw TWICE'T (southern expression), I appreciate the compliment! Laying out tools on the kitchen granite to begin reassembling my 19t.... still need to get the KINUGAWA Turbo WG actuator on order.... coming soon. The Mrs is still out of town....isn't she? Still enjoying the wasted spark conversion? My last key pieces (board and bracket) will be arriving soon just can't decide if I want to stay chipped with it or not. Currently running a chipped egr ezk although the chip disables egr. Have a non-egr chippable goldie and a non-chippable non-egr blackbox in my parts stash. What would you do given the options? For stockish boost levels, I'd run the WS conversion sans the daughter card EZK (non-chipped). However if you plan to run more boost (say 15+), I would run a gold box with a performance chip. My understanding is that additional timing is pulled by the ignition chip..... insurance against boost knock / preignition. That said as my understanding..... I've never seen the ignition timing table for LH. Only those who have been under the hood (IPdown for example) know what values are in those tables! I give a 2 thumbs up to the WS conversion overall..... removed an ignition problem (misfire) I was having at 5K RPM and with 16psi boost. Makes sense now. Thanks for the explanation. Grinding out some assembly work today in the USG (Underground Swedish Garage). My 3" DP was rather a short version.... obviously intended to have a piece of flex attached to it. 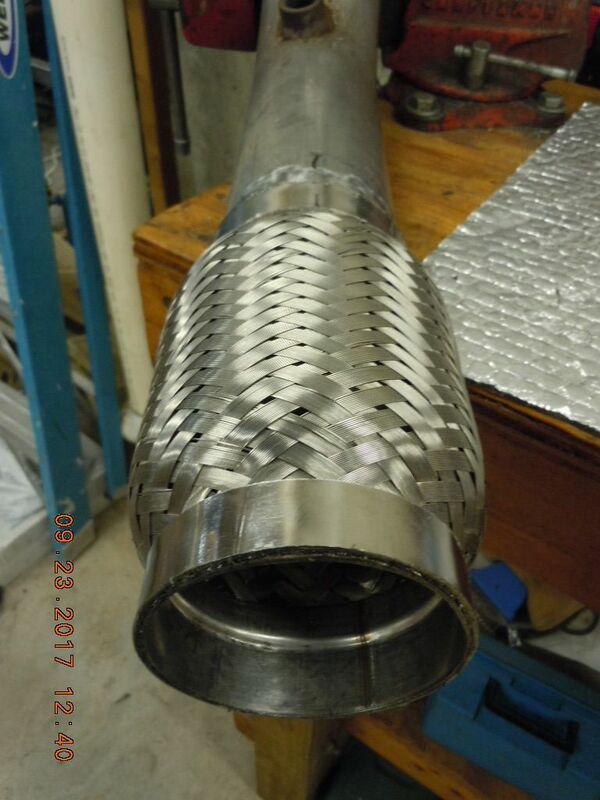 Several years ago I scored a pair of stainless 3" flex pipes off eBay, and decide to use one on this application. The ID of the coupling and the OD of the DP were pretty much line-to-line on size, perhaps even a slight interference fit. I decided to buff the DP exit (aluminized exhaust coated) with my 90* small disk grinder (high RPM air tool). After about 45 minutes of polishing the pipe, I was able to tap the flange of the flex onto the DP exit. 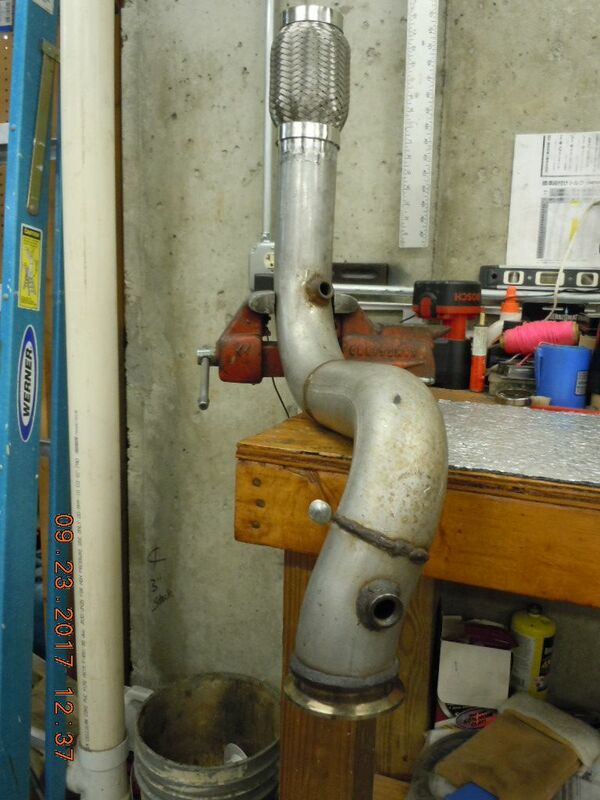 I'll need to buy another foot of 3" exhaust pipe, probably from JEGS as the best price I've found thus far. My high flow CAT will need a V-band attached to it and I've also got to install a new bung for the wideband sensor..... got one laying around somewhere I've got to dig up. I sure hope the 3" DP and high flow CAT help that 19T to breathe...... it's been a bit of a PITA. Last detail will be to customize a support for the DP to anchor to the original rear trans hanger.... quite different than the stock DP, but I plan to copy the method. My TME CAT back system will be wired up into place, and once this baby runs I'll drive to my local exhaust shop and have him build me a custom connector pipe from CAT to the TME. After lots of head scratching, postulating plans to move this project forward to completion, finally some progress to report. Last Saturday I decided to fit check the B21EFI intake again, and sort out WHAT vacuum connections would be made where, and to what device. Made a list of the requirements from the old B230FT intake, and then schemed where to make all these same connections to the old (new) intake. There are actually more ports on the B230FT, as one would expect as technology & creature comforts moved forward. Well the differences between the 2 and 7/9 start at the firewall. Would it play nice there? Looks like I'll need to drill a couple clearance holes for the small attachment screws, and bolt the 240 cable thru from the engine bay to the cabin. No problemo! In fact, I'll chop up the original 940 cable and use that seal piece to close off the cabin from engine fumes. 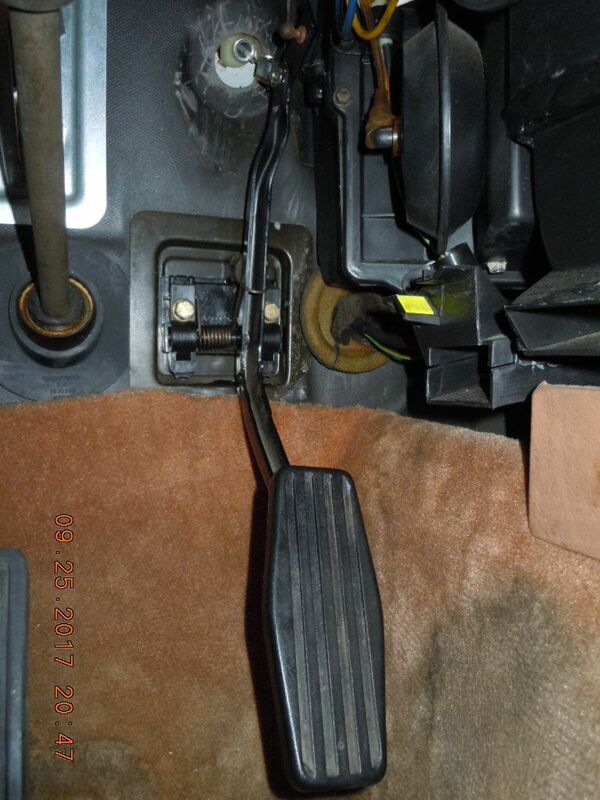 The last riddle was, the 240 cables have a little pin connector in the cabin side, whereas the 7/9 series has a ball end on the cable which is retained to the pedal assy. So I'd have to customize my 940 pedal, I thought. 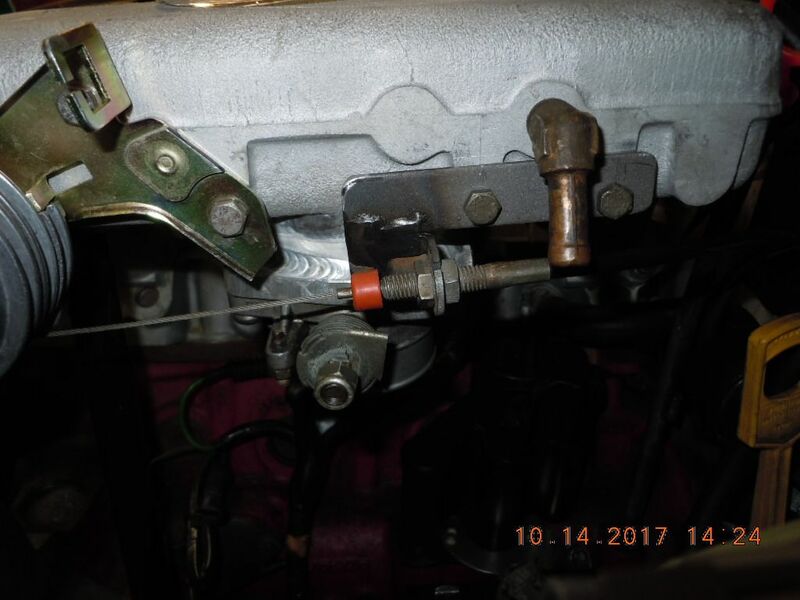 THEN I remembered, this past spring I pulled a complete 93 240 throttle pedal and cable from a 100K mile donor (which yielded many parts for my 242 project). I wondered, would it bolt up and play well with a 940? I was almost laughing now! Turns out the 2 series and 9 series pedal geometry is EXACTLY THE SAME. Bolt hole pattern/diameter, lever length above/below the pivot point, SAME. I'll be damned! I guess those OVLOV Engineers loved that pedal design geometry so much, they carried it forward into the 7/9 series. Good times are here! I'll clean up that total install after it's 100% for final assy., but the good news is the 240 system drops right into the 7/9 to properly actuate the throttle. That passage for the injector cleans up perfect to 9/16", and now I'll tap with my 3/8" pipe tap. Homer Depot also had a brass 3/8" to 1/8" pipe in one bushing. Success again! In summary.... I'm pretty stoked! Got my B21EFI intake throttle cable & spool sorted out, and all the vacuum connections ID'd as well. One I didn't mention, is the AIC port. Nathan welded a 3/8" NPT boss onto the underside of the intake, and I'll drill that thru to the plenum to provide the AIC connection. One future detail to design/execute is HOW to mount the AIC using part of the original mount and rubber mount. Just a tip in case someone else runs into the same snag. 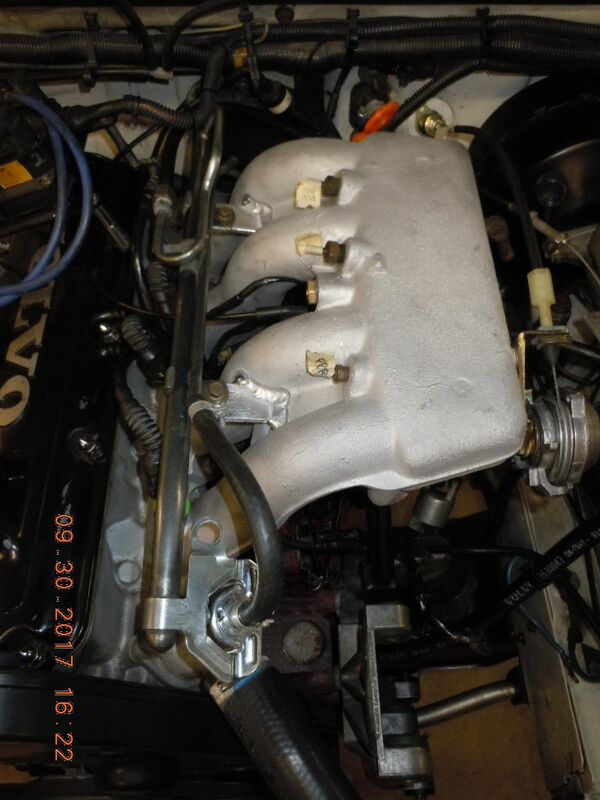 B230E-powered 740s used the same intake manifold. Maybe even some were equipped with automatics. Digging those part numbers should get the next entrepreneurial fabricobbler pointed in the right direction. 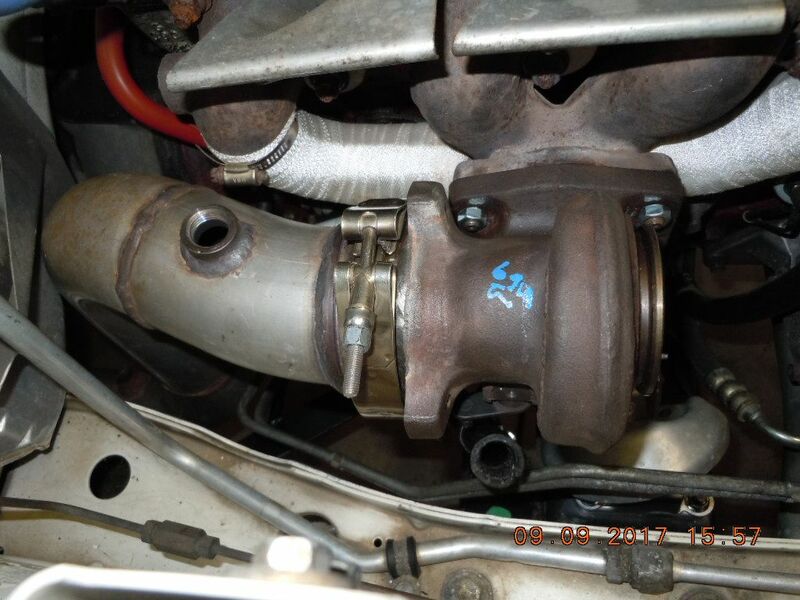 Per DEK2688, who is also traveling this road, the factory throttle cable & triple spool, et al, are all NLA. 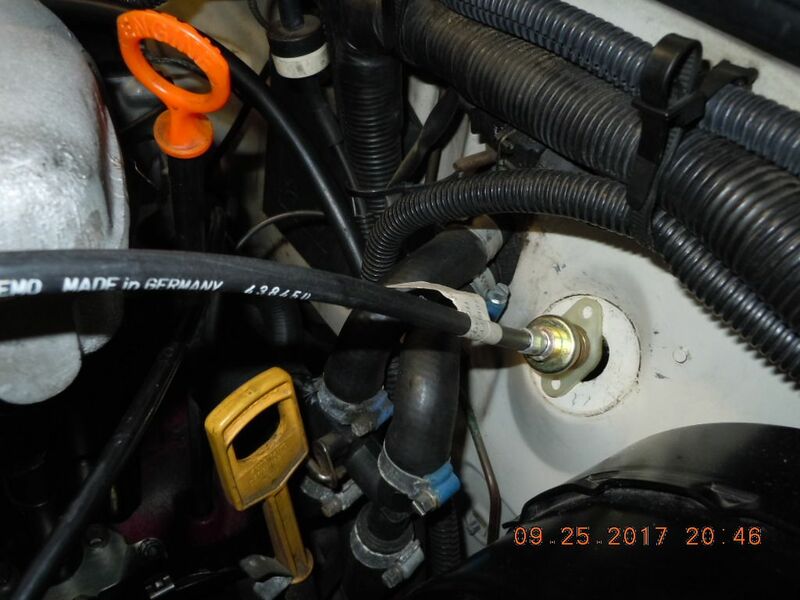 He was able to purchase the last 740 B230E throttle cable on Earth, from somewhere deep in Latvia. 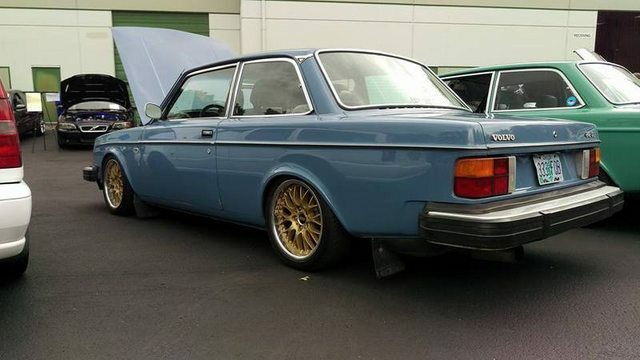 As I understand it, the 740 B23E and B230E are Europa only.... never in North America. You would be correct. Also, that's annoying. Now I wish I wouldn't have ever sold mine. That's awesome the parts to make it work are so compatible. Looks great in there. Thanks for documenting it. I showed previously a custom Nathan -06 fuel rail that I bought with the intake.... initially I intended to use that fuel rail. 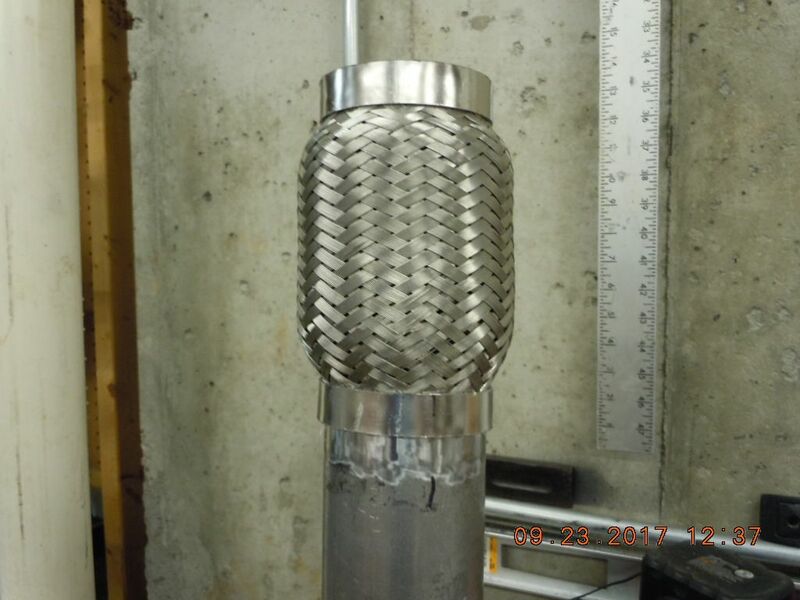 Further investigation showed that the Nathan rail would require a remote FPR, custom fittings and hose revisions for the supply and return. Sweet looking, but not exactly a bolt on solution. 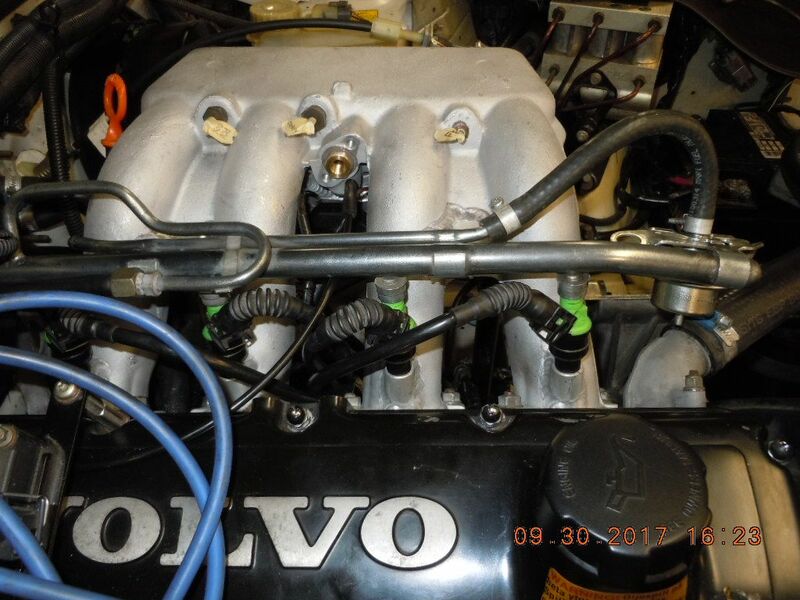 On a suggestion from DEK2688, I bought a B234F fuel rail, which he claimed would fit the B21F intake and allow usage of the stock 3.0 bar FPR (which I already had, purchased with my original restification back in 2012). Found a B234F rail, and completed the purchase. 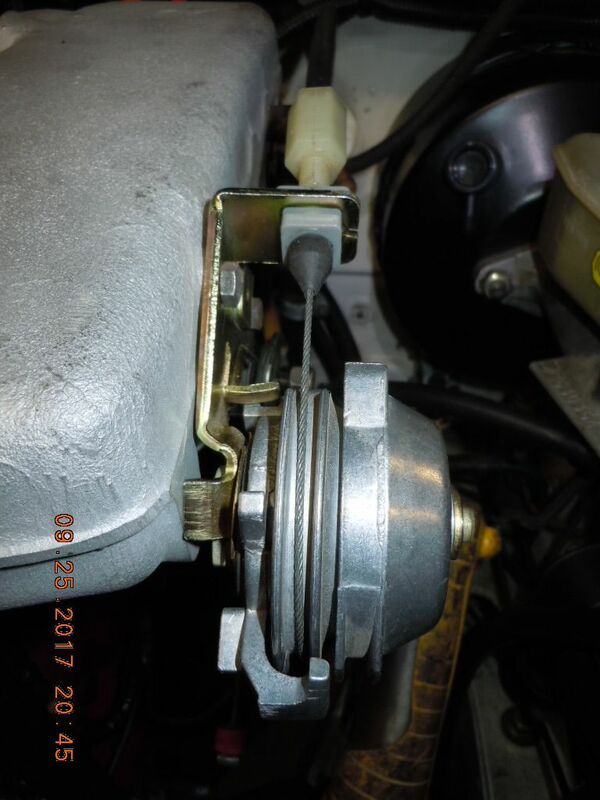 A note on injector orientation into the runner. 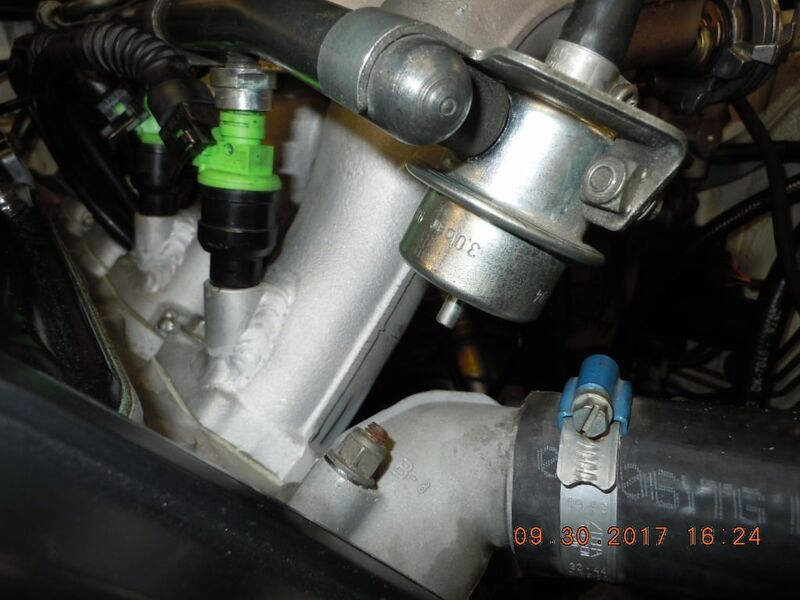 All info I can find on retrofits to "non-EFI intake runners" says the best injector target is the back of the intake valve. 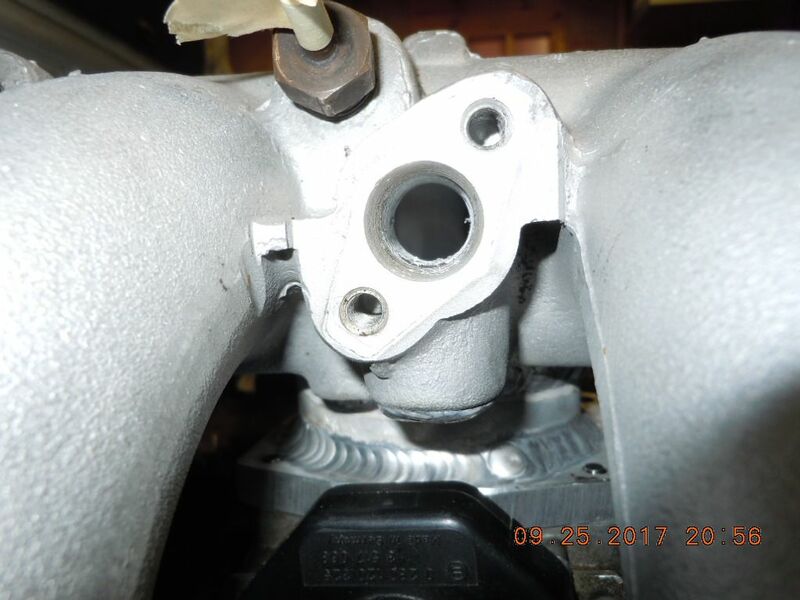 I was concerned about the retrofit injector bosses, not knowing how Nathan oriented them; I decided to check the stock B230F intake for injector orientation, and saw that the actual design aims the stock injector at the inside radius of the runner in the B230 head, rather than the intake valve. 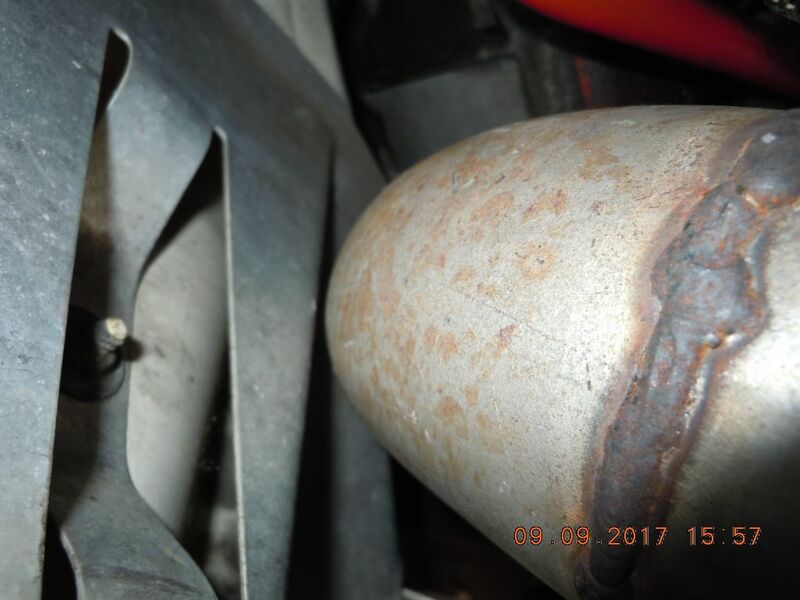 Less than ideal according to EFI experts, but what the OE engineers apparently did. 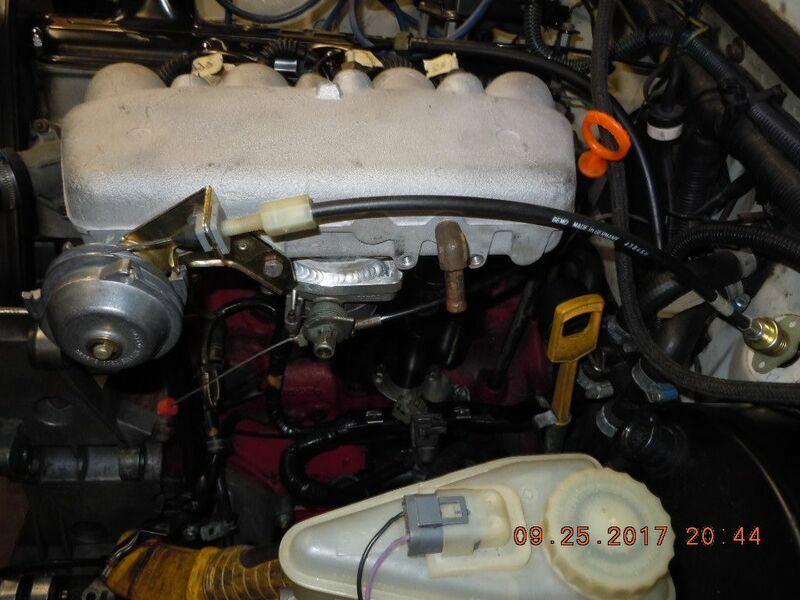 Based on that find, I leaned the injectors toward the intake to aim the injectors a bit closer to the valve (a shallower angle to the intake runner). We'll see if I have a vacuum leak in those injector bosses. 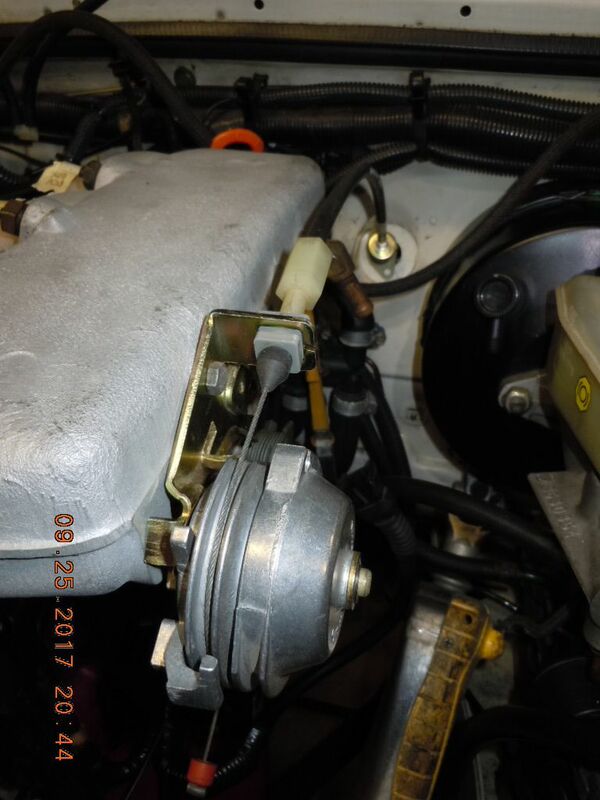 I was a bit concerned about the location of the FPR using the B234F rail...... while it's close to the thermostat housing, it clears adequately. 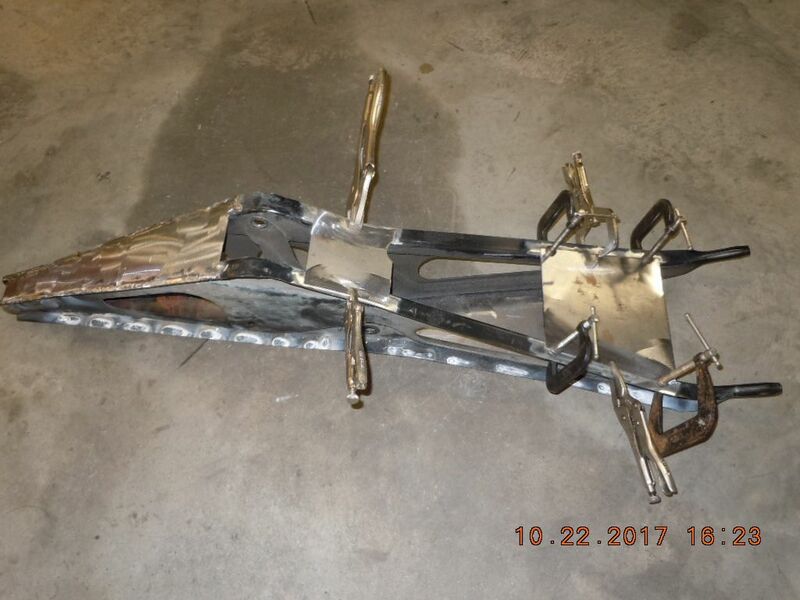 Well, Saturday was MIG welding day. I had several tasks to complete/start, and decide to roll with the Miller MIG. Since there doesn't appear to be an OE AW70/71 trans. "throttle cable" mount for my B21EFI intake, I made one and used the aft set of intake holes for mounting. I know how the AW kick down cable must be adjusted..... as what I did in 2012 worked flawlessly for 5 years of DD duty. I cut apart the B230F intake trans cable mount, and welded it to a piece of steel flatbar of similar thickness (1/8"). The mount will get blasted, primered and painted (or powdered if I get enough together for the $100 minimum). 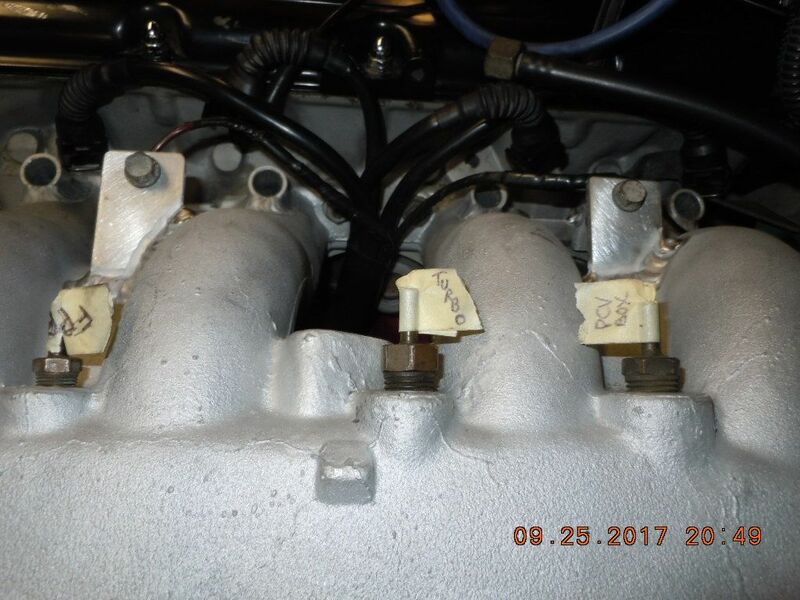 While the 1041 rear end was out, I decided to address the 7/9 subframe which is a known fuse for HIGH torque applications. 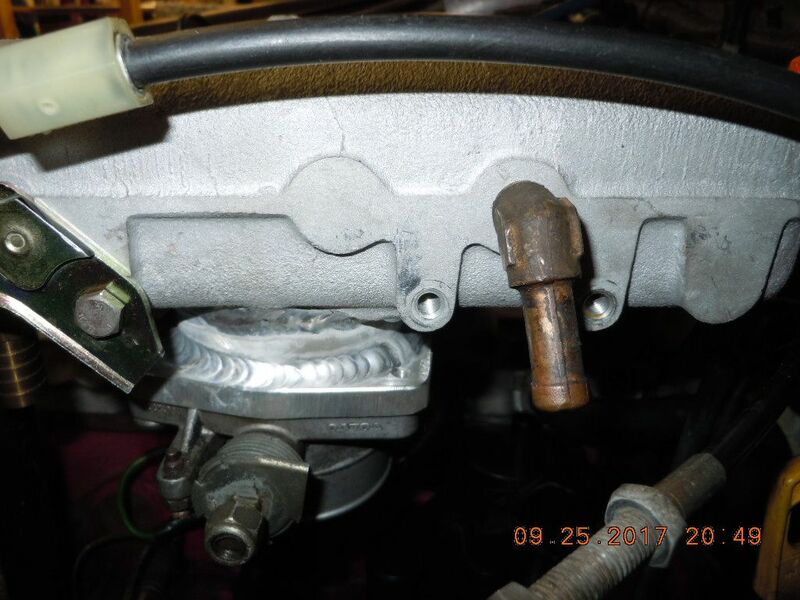 While I don't know that my 250ish lb.-ft. of torque will cause damage, it is an easy upgrade with the rear end out. This subframe in the 7/9 receives the reaction when you apply torque to the tires..... the design is essentially an asymmetric 4 link type. I know TB guys with manual cars have buckled these subframes.... 1st gear torque multiplication is higher than an AW first gear. As I have said repeatedly, this is the "last hurrah" for the DD, and I don't want to be going back in for any reason. 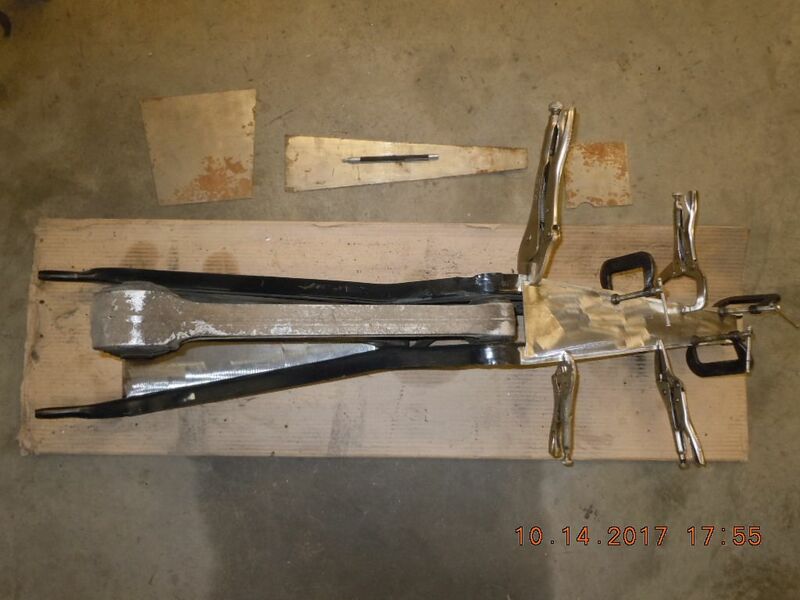 The subframe was around .090" thick, and the YOSHI plates are .062" (1/16th steel). With the MIG set for the thinner of the two, I've begun welding them together. I'm taking care to ensure that the articulation of the pair of axle links are not interfered with. 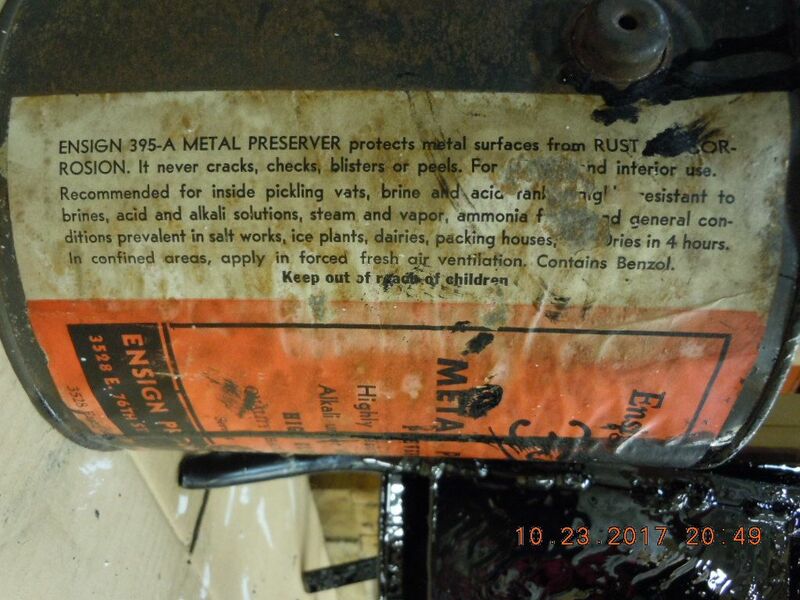 ALSO, you must take care that all mounting point dimensions are held properly before you begin welding on the reinforcements. I confirmed the front cast aluminum mount and the rear rubber bushing widths before welding. SHAME on the TBer that welds these reinforcements into place without confirming these dimensions.... because it likely won't go back together! 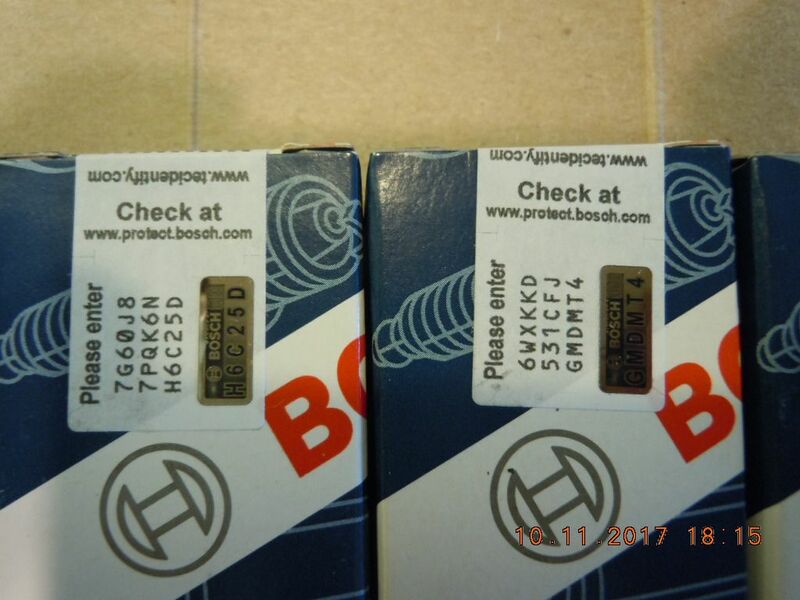 Bosch, knowing they were being ripped off, created an authentication web link, and you type in the LONG code to find out if these are the real deal. They are..... at $45 each shipped to the door. Last edited by DET17; 10-15-2017 at 01:04 PM.. Your attention to detail is very settling for an OCD'er like myself. Good stuff! My Dad always fussed at me about my OCD tendencies. I told him, "Don't be mad at me, have pity!" I wish it were a choice.... but I have to do things that way.... if I want to sleep at night. 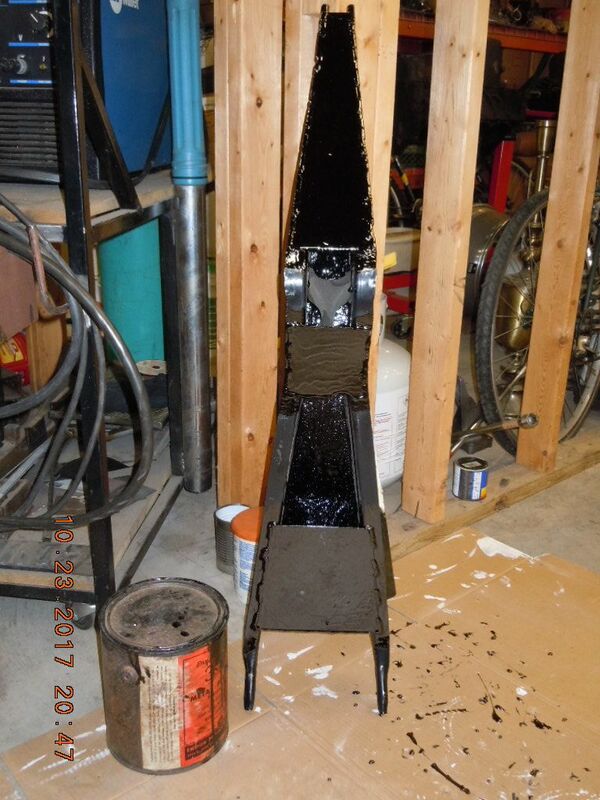 The way the YOSHIFAB reinforcement kit works, you've got one side of the frame that is damn difficult to paint or powder coat. I decided that "rust prevention" was adequate for my use of the DD.... there would be no hero points for powder coating a suspension frame that wouldn't be seen again. 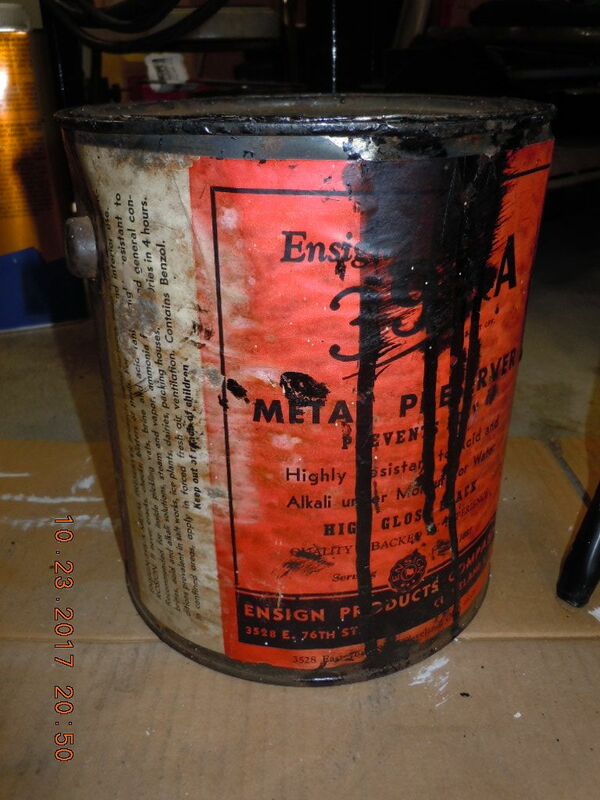 So to meet the need, I busted out my ancient supply of 395-A metal preservative. I guess I should go ahead and assign the heir that will receive what is left of this gallon, when I kick the bucket. 395-A rules! Just don't breathe the fumes.... I took it outside to gas off. Hopefully tomorrow night I will have the subframe bolted back into the 940, awaiting install of the rear end. Today I was able to finish the install of the reinforced subframe. 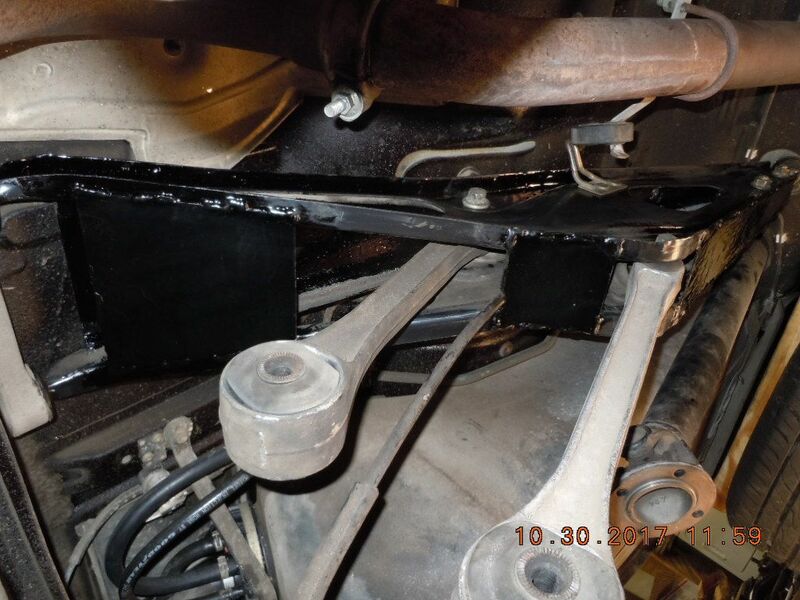 First, a TIP of the hat to YOSHIFAB, who designed/built the reinforcement kit for the 7/9 rear subframe. I can appreciate the work he put into the design.... subtle details including a relief for the parking brake cable routing. 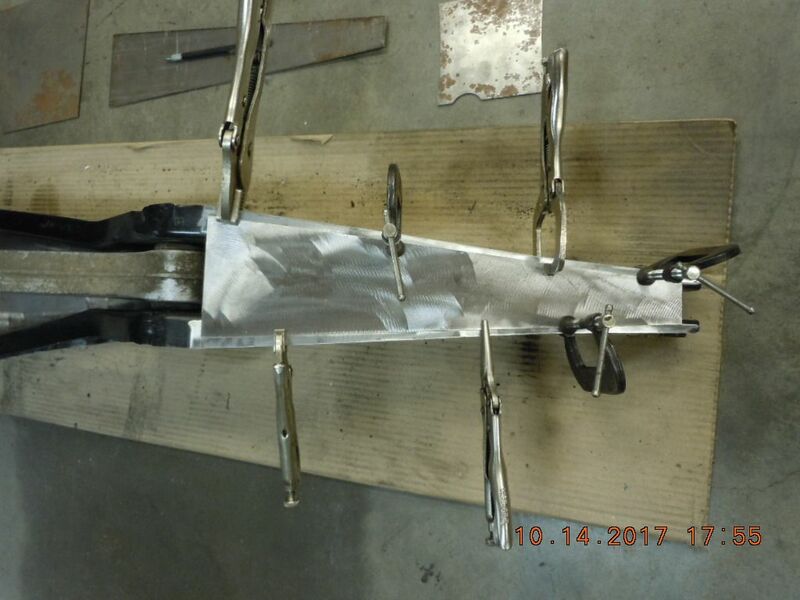 My subframe was beginning to buckle... and I had to straight it a bit just to get the reinforcement kit clamped up and tacked. Even without a manual, I am making enough torque that the stock design had begun to deform. I'd recommend this reinforcement kit wholeheartedly...... it's not the "finite element design" subframe that BNE (Kalplhenke) builds, but I feel there is more value in reinforcing the stock system for most enthusiasts. Here are some pics of the finished unit, installed into position. I used vaseline on the male pins which locate the rear of the frame into the rubber suspension mounts (it is darn tight and took serious persuasion to get those pins pushed completely in). As noted earlier, be careful when you tack these plates into position, as you could change the widths dims. at the various bolting points and making the unit useless. I'm confident this subframe will handle all the torque that I'll be throwing at it! 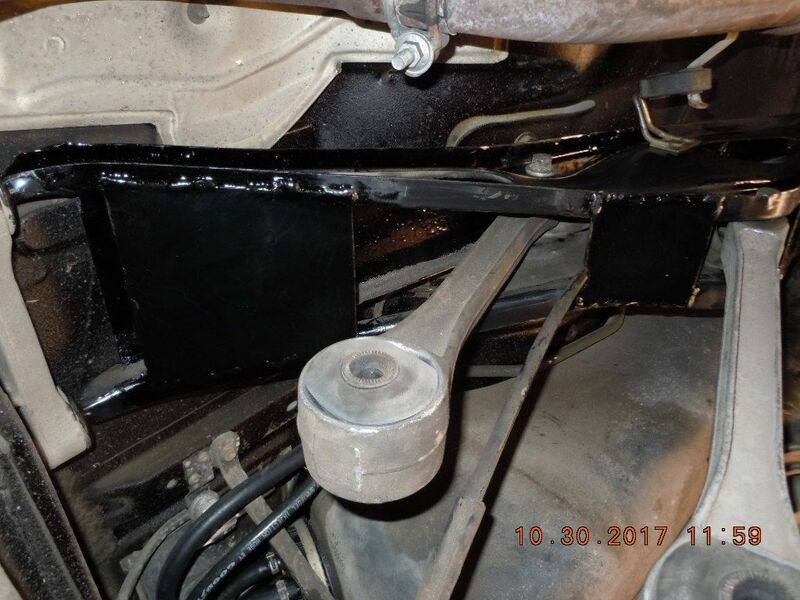 I'm sure you are very knowledgeable on the subject already, but I've read of folks flipping the torque rod bushings 90 degrees to move where the void in the bushing is. That way the toque load is at least on the solid portion of the bushing. Or did you just have plans to replace them? 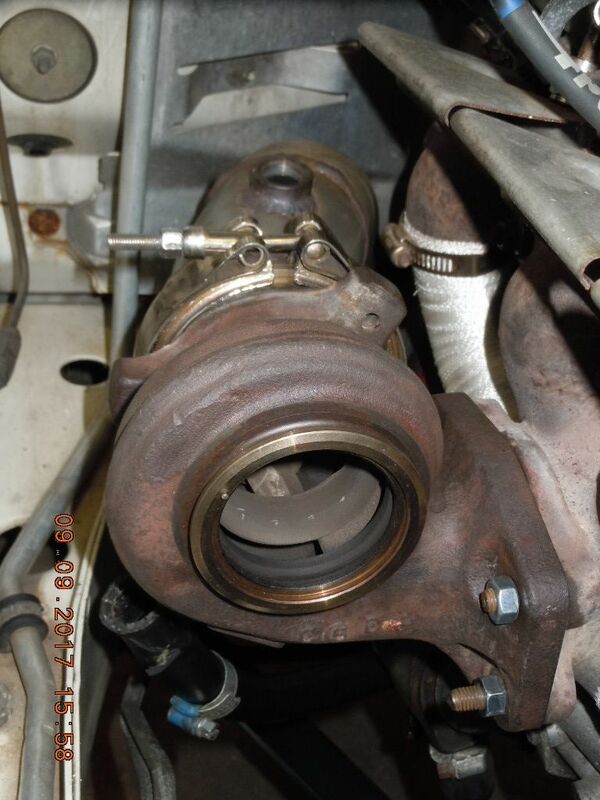 Also curious on if the subframe bushings were in need of replacement or were in good shape? 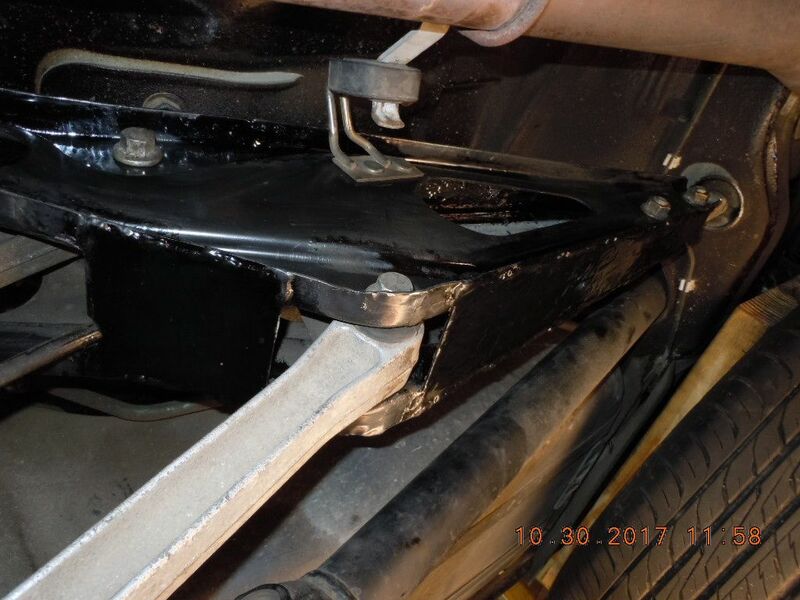 The bushings pressed into the chassis mount have no void, and mine were tight. Those in the "dogbone" torque rods I won't replace..... I swapped in the parts from a 125K mile 94 wagon (donor for my drivetrain) and they look AOK to me. If you've ever pressed any of those bushings, they can be a real bugger. Nope, no replacements until I hear some KLUNK sounds under WOT acceleration. My experience with poly is increased NVH in the vehicle.... I won't do that on my Grandpa (PawPaw) sedan.